On Friday, billions of people around the world observed the Christian Holy Day of Good Friday. It marks the day that the Trial of Jesus of Nazareth occurred and when he was sentenced to death for failing to deny that he believed himself to be the Son of God. Christians believe that Jesus willingly suffered and died by crucifixion as the ultimate sacrifice for the sins of humanity (1 John 1:10). 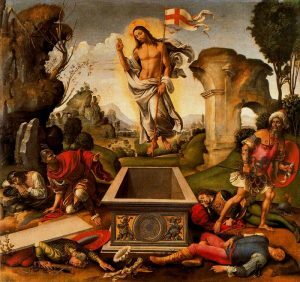 Easter Sunday celebrates Jesus rising from the dead, an event which is referred to as the Resurrection. Set in the springtime every year and often close to the Jewish Holy Day of Passover, Easter symbolizes a time of rebirth and renewal. 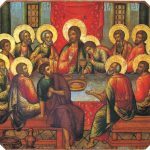 Holy Thursday, which occurred yesterday, marks the event of the Last Supper of Jesus and his Apostles, during which the group were celebrating a Passover Seder when Jesus informed the group that he would be betrayed by his followers. Jesus is betrayed by one of his most trusted Apostles, Judas Iscariot, and handed over to the authorities while Jesus is praying in the Garden Gethsemane with the other Apostles. The Bible tells us that although Jesus is betrayed, he does not seek vengeance. He accepts his fate. 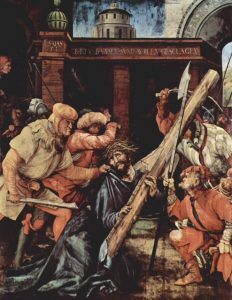 The trial of Jesus and the events leading up to him being nailed to the cross, depict Jesus being mocked, ridiculed and physically beaten as he is marched through the street. 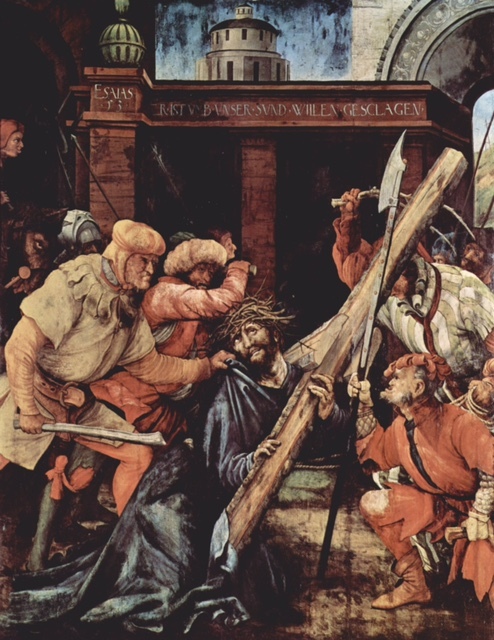 He is given a crown of thorns and the onlookers are told to hail the “King of the Jews.” Jesus accepts his fate and did not defend himself during his trial, sentencing and execution. By now you’re probably wondering what all this has to with family law? Well, too often people being abused in domestic relationships accept their current state of affairs as being their cross to bear. People speak of feeling like they’ve been nailed to the cross. Your partner may have been unfaithful. Your partner may be abusing you or your children. It important for those being abused to know that they don’t have to accept this fate. One can break out of the cycle of abuse. As late great troubadour David Bowie sang: “You’re not alone.” Mental health professionals, domestic violence support groups and family lawyers are on the front line helping people to break out of the seemingly unending cycle of abuse. One of the tools at the court’s immediate disposal is for a victim of abuse to bring a Domestic Violence Complaint against the abuser and obtain the immediate issuance of a Temporary Restraining Order. The court must also construe any such acts in light of the parties’ history to better “understand the totality of the circumstances of the relationship and to fully evaluate the reasonableness of the victim’s continued fear of the perpetrator.” Kanaszka v. Kunen, 313 N.J. Super. 600, 607 (App. Div. 1998); N.J.S.A. 2C:25-29(a)(1). If a predicate offense is proven, the judge must then assess “whether a restraining order is necessary, upon an evaluation of the facts set forth in N.J.S.A. 2C:25-4 A-2459-15T2 29(a)(1) to -29(a)(6), to protect the victim from an immediate danger or to prevent further abuse.” J.D. v. M.D.F., 207 N.J. 458, 475-76 (2011) (quoting Silver, supra, 387 N.J. Super. at 127). Furthermore: “When the predicate act is an offense that inherently involves the use of physical force and violence, the decision to issue an FRO ‘is most often perfunctory and self-evident. '” A.M.C. v. P.B., 447 N.J. Super. 402, 417 (App. Div. 2016) (quoting Silver, supra, 387 N.J. Super. at 127). It is crucially important for one seeking a temporary restraining order to be prepared to include any and all evidence of the history of domestic violence in the Domestic Violence Complaint. The event that spurs a victim to finally file a Domestic Violence Complaint can come after days, weeks, months and sometimes decades of abuse. It is never too late to break free from the cycle of abuse. Just remember, help is out there…you’re not alone.